DYNAMOS midfielder Valentine Kadonzvo said the Harare giants will not be relegated. 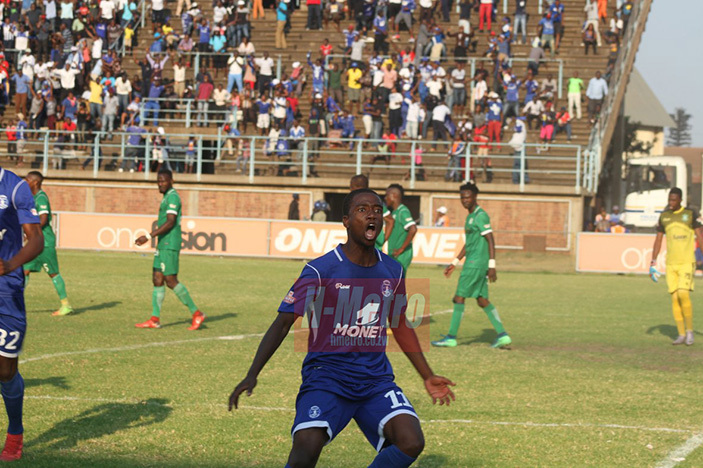 Kadonzvo scored the winning goal for DeMbare in the 75th minute to ease their relegation worries. CAPS got the lead in the 43rd minute through Joel Ngodzo, while Dynamos got their first goal through Kingston Nkhatha four minutes into the second half before Kadonzvo sealed the victory. Dynamos are now on 11th position with 34 points. “We are not going to be relegated, never. We will finish the season on a high note and we will pick it up from there next season. “We will pull through, we always do that best,” said Kadonzvo. Kadonzvo said the result against CAPS was going to determine their fate in the league. “This game was going to be a determiner for us and I am glad we managed to get a positive result. “This win will push us and it acted as a morale booster so going forward we are promising more fireworks. “Now we know we can do it, so we won’t let anything pull us down, we will fight to the end and we are not going to be relegated,” he added. Kadonzvo who scored his first derby goal was happy with the achievement. “As a derby, it was a tough game. Very tough. Winning a derby means a lot. “While scoring is like icing a cake. It feels awesome. This is my first goal in a derby, so it means the world to me. “We are a big team and we are going to carry this form forward. “We showed the fighting spirit, they scored first and we came back to win the match, that alone shows how eager we are to do better,” he said.